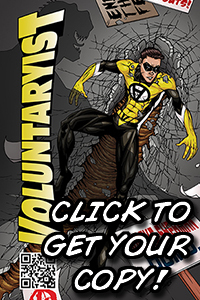 This entry was posted on October 9, 2014 by Voluntaryist. 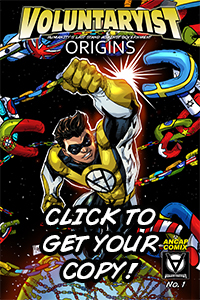 It was filed under Comic Developments and was tagged with agora comic, agora comics, agorism comics, agorist comic, an-cap, anarchy comic, ancap comic, libertarian comic, nap comic, ron paul comic, rothbard comic, spooner comic, voluntaryism comic, voluntaryist comic, voluntaryist comics. heard you on Anarchast. how do I buy this with Bitcoin? 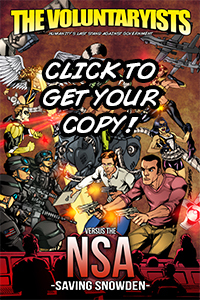 The comic print-on-demand is run through Indyplanet.com. Indyplanet does not currently accept Bitcoin. Thank you again for coming on by and checking out the comic site! 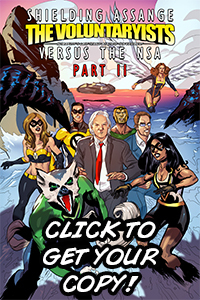 the content of this comic is different than The Voluntaryist right? 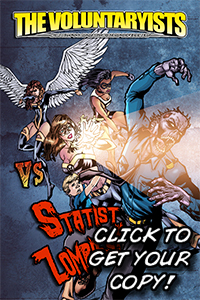 The Statist Zombies issue has different content from the first Voluntaryist Comic (Special Edition No. 1).